Last week was the Knitting & Stitching Show at the Alexandra Palace in London. I was lucky to get Jamie “Mr X Stitch” Chalmers to attend the show and share what he found interesting on display there! 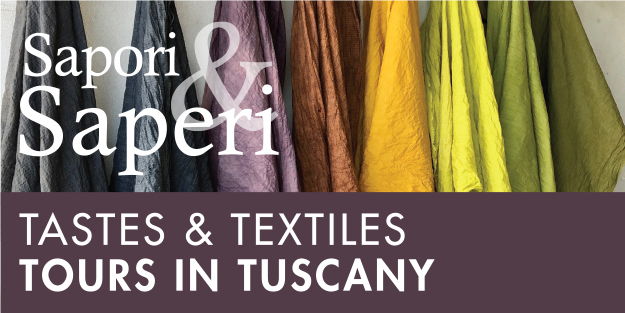 The event featured work from 3D crochet to surface embroidery, patchwork and quilting to intricate crochet, and highlighted the immense level of craft in the field of fibers and textiles. The 2016 Knitting & Stitching Show in London was jam packed with all manner of inspiration and resources to suit the needlecraft needs of textile fans from the South of England. I took my camera and headed down there on the Thursday to see what treats were to be found. Full disclosure, I’ve been to the show quite a few times and I’ve got more stitching supplies than a modern man should, so despite the Great Hall being filled with several hundred stalls that were selling all manner of craft materials, my focus lay elsewhere. Within the West Hall the galleries brought together a wide range of textile and mixed media arts, and after using my quick absorption technique, I dived in for a proper look. (My quick absorption technique involves quickly going around each stand without stopping at anything in particular, then popping out of the building to look at clouds and trees while my unconscious works out what it’s been looking at). Here’s a brief look at my personal highlights. 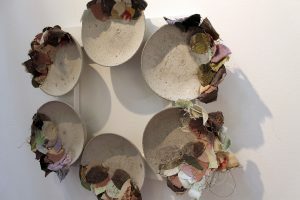 Ruth Singer and Bethany Walker are Interlace, combining textiles and concrete to produce beautiful bowls infused with fabric. 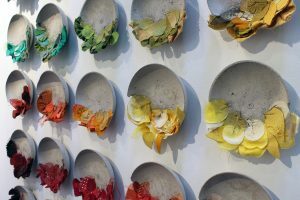 Their stand was filled with colour palettes ranging from vibrant rainbows to wistful hues; if the number of photographs that have appeared online is a measure of success, this stand may have been the hit of the show. Bethany’s technique with concrete remains a closely-guarded secret – suffice to say the fabric leaves would not survive a traditional kiln! 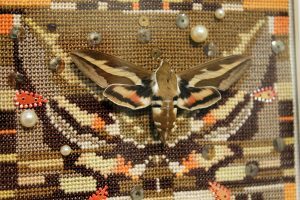 Anthea Walsh “combines hand embroidery with taxidermy in order to explore the material boundaries … between the natural and the man made.” It’s true, she does! 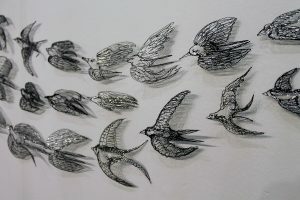 Anthea’s work included butterflies and birds that were incorporated into her work in ways reminiscent of stumpwork, but with actual taxidermy rather than padded embroidery. 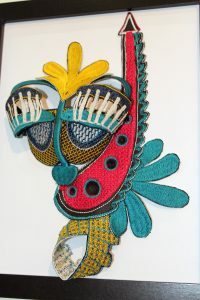 There was a delicateness to the work, yet the inclusion of actual creatures added an element of poignancy to the work. Anthea told me that many people had assumed the work to be completely embroidered, with an instinctive refusal to acknowledge the truth of her art. Treading the line between darkness and light with great skill, Anthea’s pieces remained with me long after I left the show. 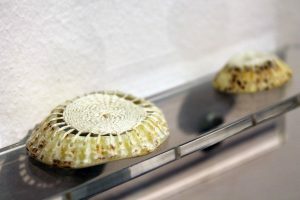 Alice Fox presented a small art gallery full of Findings – objects that she’d discovered in her travels around the UK and beyond, which have been repaired or refined using natural processes. 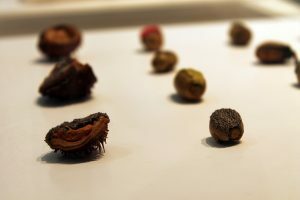 Dying, stitching, weaving and printing were among the techniques used on these items, some of which were natural objects like acorns and seashells, while others were manmade items or discarded detritus. 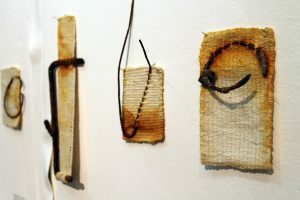 Alice’s restorations acknowledge the places the items were found, using local mud for items found on river banks for example, and the deftness in using stitch and weave on delicate objects added to the charm of the ensemble. 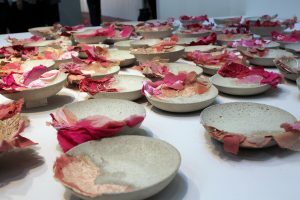 The exhibition was a journey through form, function and revisited the beauty that is often found in natural decay. 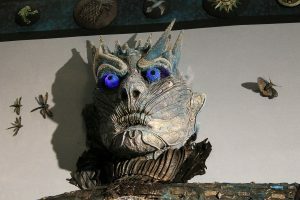 The Graduate Showcase is always interesting, as it shows the new talent springing from the realms of higher education, and this year was no exception. 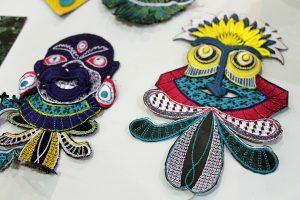 I particularly enjoyed Laura Marriott’s Digital Tribe – digitized machine embroideries on leather and fabric that evoked traditional African tribal characters but in vibrant colours. Playful and vibrant, Laura’s digital designs also used soluble fabrics to create lace patterns and structures whose shadows were as intriguing as their substance. 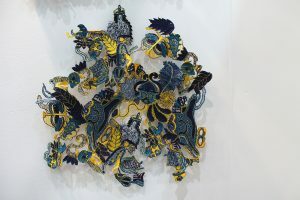 The Knitting & Stitching Show is huge and there is barely enough time to have a proper look at everything in a day, so before I go, here’s some quick picks of other things that caught my eye. 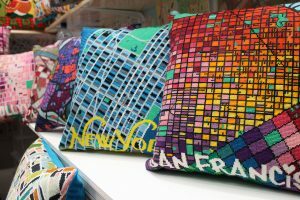 Hannah Bass Needlepoint Designs give you the chance to stitch your favourite city map and make it into a nifty needlepoint cushion! 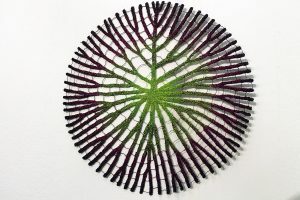 Nice to see Meredith Woolnough’s machine embroidered plant forms on show in Anne Kelly’s Textile Nature exhibition, as well as Leisa Rich’s machine embroidered Mass Hysteria. 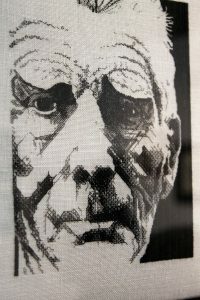 On the Royal School of Needlework stand, this blackwork portrait of Samuel Beckett showed the true potential of this humble stitch. 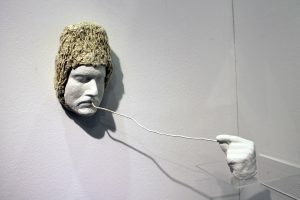 Cos Ahmet’s gallery featured sculptured weavings that exposes his thoughts and inner workings, and were visually arresting. 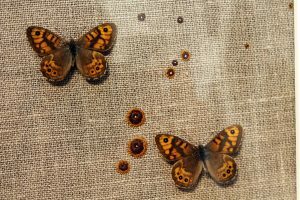 The Hardholme Embroidery, a collaboration between the Embroiderers’ Guild and the Royal School of Needlework, was amazing to see up close. Such detail and such exquisite embroidery! Jamie “Mr X Stitch” Chalmers is known as the Kingpin of Contemporary Embroidery and has been championing the world of needlecraft since 2008. 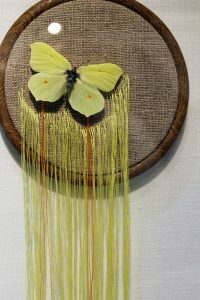 You can find him on most social networks and his website – www.mrxstitch.com – is a fantastic resource for textile art fans with a range of contributors from across the globe. His limited edition 2017 Calendar, featuring 12 months of amazing art, is available to buy from his Etsy store.